Showing Products 21 to 41 of 152 Products. Create a delightful paper village, complete with a post office, a tea room, a school, cottages and lots of people to play with. There's no need for scissors or glue, simply press out the sturdy pieces and follow the step-by-step instructions to slot the models together. 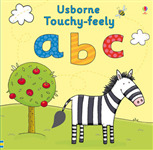 Helps young children learn their ABCs. 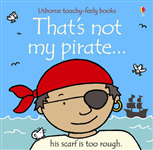 This picture book is bursting with touchy-feely patches, foiling and a variety of textures. It also includes handy, robust tabs that help children find their favourite pages more easily. 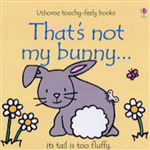 Part of the bestselling "That's not my..." series, this title combines bright, colourful illustrations with a variety of different textures to touch and feel on each page. 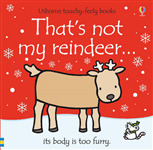 It helps very young children to develop important language and sensory skills. From gladiators fighting in the Colosseum, a bustling Roman army camp filled with soldiers, an extravagant banquet in a senator's house, to domestic scenes of Romans going about their daily business, this book provides scenes from Ancient Roman times to fill with stickers. Offers ideas for painting, drawing, printing and making collages. This title helps young artists develop their skills by following the step-by-step instructions. It includes suggestions for ways to use a variety of different art materials. 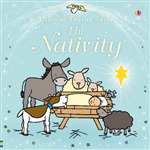 Contains illustrations that accompany a retelling of the Christmas story, with fluffy donkeys, woolly sheep, a glittering angel and, the baby Jesus sleeping in his soft blanket. A new edition of the hugely popular "Beginners Cookbook", introducing children and kitchen-shy adults! to the basic techniques of cooking through a selection of mouth-watering recipes. Recipes include ideas for pizza and pasta dishes, vegetarian dishes and delicious cakes and cookies, giving novice cooks something to create for every occasion. 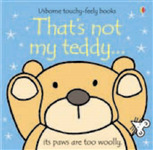 This lightweight, delightfully squashy, wipe-clean plastic book is ideal for babies wherever they might be. Perfect for popping into a handbag or changing bag, this book can be dropped, dribbled on and thrown around without any need to worry. Plastic bath book with soft squashy pages, to make bathtime even more fun.